Leather Open Front Horse Boots made open front boots and hind ankle boots that are top quality. Great Brand names in Horse Open Front Boots from Tolga,Equifit..
Equestrian Ankle boots and Fetlock boots are used to provide protection to your horse’s leg, specifically damage and strain to the tendon and fetlock areas. 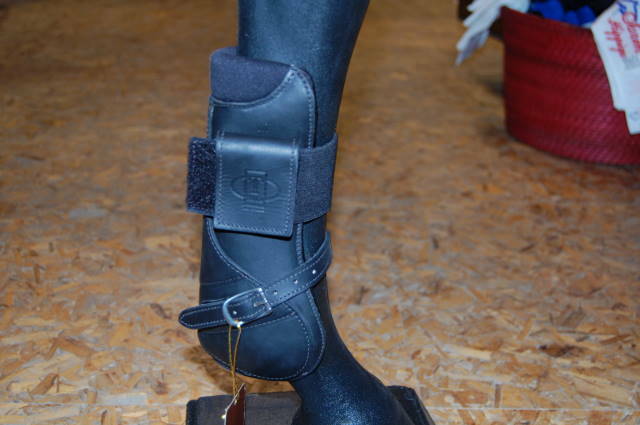 HorseSmart English Tack has tendon and fetlock boots from top quality Tolga Saddlery. 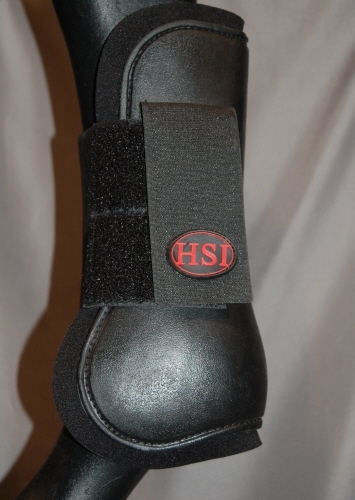 Tendon and Fetlock Boots -Horse Boots&Safety - Horse - Equestrian -HorseSmart Tack. Horse Boots, Horse Saddle Pads for Horse & Rider. Suppliers of the best and easy to fit horse boots..Horse Smart Tack has a huge inventory of Horse English Bridles, Used Horse Bridle, Leather Horse Bridle and more in English Style Bridles. Horse Boots, Horse Fetlock boots, Horse Tendon Boots, Horse Open Front Boots, Horse Splint Boots. 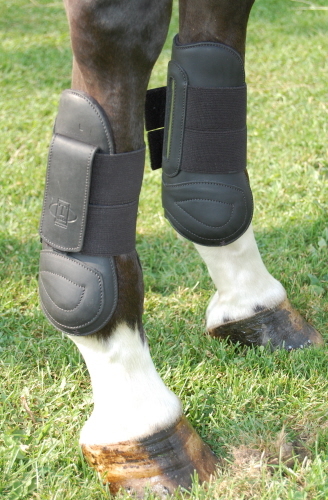 Tolga's Horse Open Front Boots with Carbon Fiber provides the ultimate shock protection. These open front boots are made of a high quality soft leather, rear strike plate is made of carbon fiber for extra protection and neoprene lining. The elasticated Velcro closure straps, allows for an easy on and off fit. Perfect for schooling, or showing in the jumper or Equitation ring. T-Boot EXP2 Equifit T-Boot Series Featuring T-Foam Technology the new and improved EXP2™ now features a cutout behind the knee for freer movement, your choice of new, reliable.. Featuring T-Foam™ Technology Equifit Front Boots, the new and improved EXP2™ now features a cutout behind the knee for freer movement, your choice of new, reliable, urethane tab or Velcro® closures, and sharp white stitching. Offering superior protection, comfort and support; the EXP2 is our most popular boot among top riders.